Sometimes, you only need an analyzer for a short-term project. ECOM has a full line of industry-leading analyzers available for rental, so you can work quickly, and get the best results. If you are considering purchasing an analyzer in the future, renting can help you figure out exactly which analyzer fits your needs the best, and allows you to purchase with confidence. Each analyzer is pre-calibrated and ready to work, so you can make the most of your time. 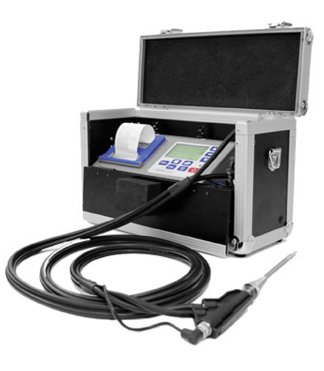 See our rental equipment below to determine what best fits your emission analyzing needs. With wireless remote control, the ecom-J2KN Pro Easy adds extra convenience and flexibility to a system that is already portable! The remote display shows all values at a glance with zoom display and plug-in memory up to 2 GB. The ecom-J2KN Pro Easy for rent is fitted with sensors to measure O2, CO, NO and NO2, set up for low NOx readings. The ecom-J2KN Pro Easy for rent is fitted with sensors to measure O2, CO, NO and NO2. 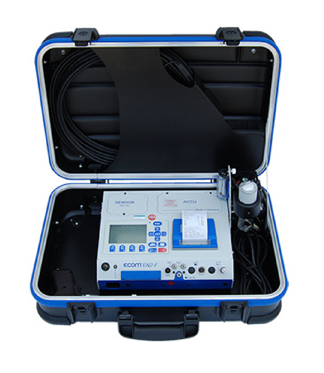 The ecom-J2KN Pro Easy for rent is fitted with sensors to measure O2, CO low, CO high, NO and NO2. 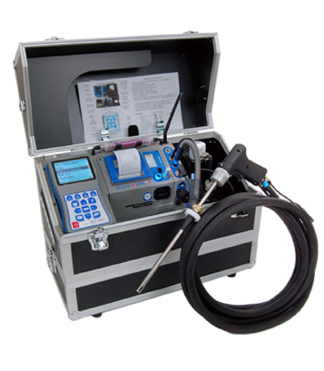 The ecom-J2KN Pro Industrial represents the ultimate design in accurate gas analysis and is unsurpassed in the field of premier portable emissions analyzers. If you have a heavy-duty testing schedule, this is the analyzer for you. 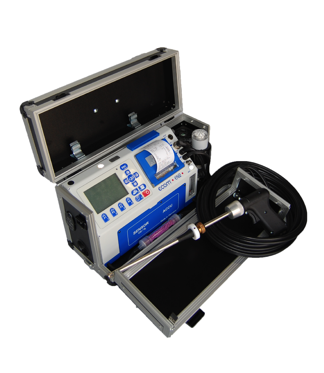 The ecom-J2KN Pro Industrial for rent is fitted with sensors to measure O2, CO, NO and NO2. 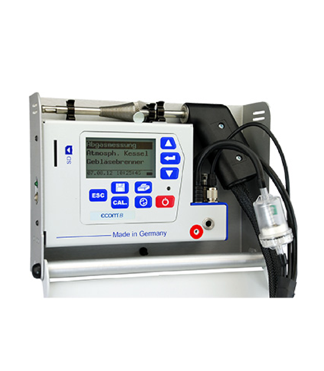 The ecom-J2KN Pro Industrial for rent is fitted with electro chemical sensors to measure O2, CO, NO and NO2, and set up with an NDIR bench to measure CO%, CO2, as well as Propane. The ecom-J2KN Pro Industrial for rent is fitted with sensors to measure O2, CO, NO NO2, CxHy (Methane). 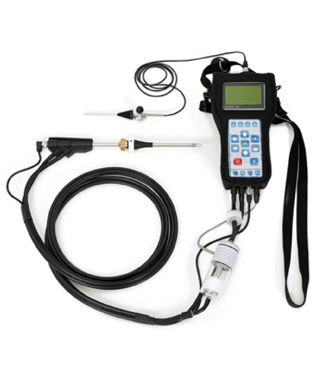 The ecom-J2KN Pro Industrial for rent is fitted with sensors to measure O2, CO low, CO high, NO, NO2, and SO2. The ecom-CL is an easy to use gas analyzer designed for basic combustion monitoring in a variety of applications. The CL comes in a robust but compact case, is fitted with up to 3 gas sensors, measuring O2, CO & NO, plus Stack and Ambient Temperatures, and Stack Pressure & Draft. The CL also calculates CO2, Efficiency, Losses, Excess Air and Oxygen correction 0-20%. The ecom-CL for rent is fitted with sensors to measure O2, CO and NO. The ecom-EN2 is the multi-talent in the emissions analysis. An easy to use and compact analyzer fitted with top technology– configurable with many additional options combustion analyzer, offering features found on larger, more expensive units. Measures up to 4 gases, plus probes for temperature and stack draft / pressure. The ecom-EN2 also calculates CO2, efficiency and excess air. The ecom-EN2 for rent is fitted with sensors to measure O2, CO, NO and NO2. 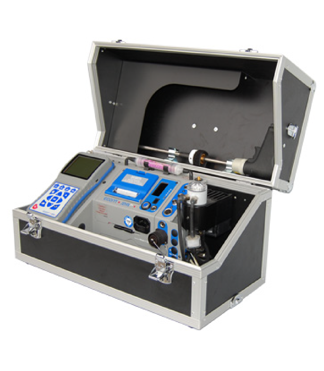 The ecom-EN2-F (flight) is a compact portable combustion analyzer, offering features found on larger, more expensive units. Housed in a shock-resident rugged hard-side case, the EN2-F measures up to 4 gases, plus probes for temperature and stack draft / pressure. The EN2-F also calculates CO2, efficiency and excess air. 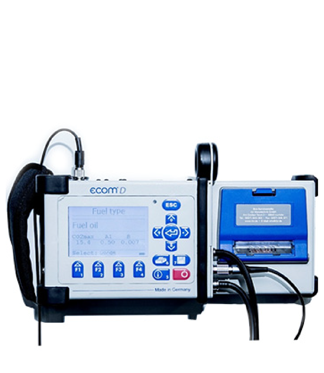 The ecom-EN2-F for rent is fitted with sensors to measure O2, CO, NO and NO2. Functioning as a durable handheld that and or as a case mounted analyzer. The ecom-D has been designed in a modular approach keeping the diverse applications of our customers in mind. Powerful magnets on the back of the analyzer allow the technician to work hands free during any combustion analysis for increased efficiency. 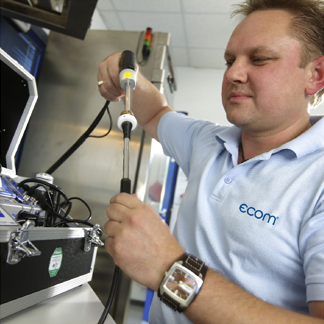 The ecom-D for rent is fitted with sensors to measure O2, CO, NO and NO2. The ecom-CN is an easy to use, handheld gas analyzer designed for basic combustion monitoring in a variety of applications. The CN can be fitted with 3 gas sensors, measuring O2, CO & NO, plus Stack and Ambient Temperatures, and Stack Pressure & Draft. The ecom-CN also calculates NOx, CO2, Efficiency, Losses, Excess Air and Oxygen correction 0-20%. The ecom-CN for rent is fitted with sensors to measure O2 and CO. The ecom-CN for rent is fitted with sensors to measure O2, CO, NO. Providing you with the best of both worlds by combining the qualities of a handheld with the durability of a case mounted analyzer. The ecom-B is built for boiler tuning and efficiency. Powerful magnets on the back of the analyzer allow the technician to work hands free during any combustion analysis for increased efficiency. The ecom-B for rent is fitted with sensors to measure O2, CO, and NO.